Rick's Pocono Blog: Unwind at a Pocono Resort Favorite! Looking for a place to unwind and enjoy some outdoor activities this upcoming Summer season in the Poconos? Of all the many places to enjoy yourself with friends and family, The Woodloch Pines in Hawley Pa captures many of your favorite outdoor family fun activities. There are many All- Inclusive Pocono Resorts in the Northeast, but The Woodloch Pines sets itself apart with its very friendly staff and excellent service. The Woodloch Pines has the ability to house 1,000 guests at one time! Some say this is the heart of the lovely Pocono Mountains, and it is the Resort of Resorts. 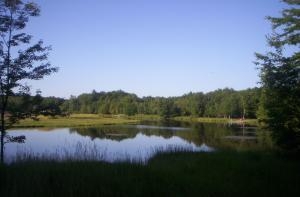 This Pocono Resort sits on over 1,000 Acres and there is much wildlife nearby. There are so many activities, amenities, and fun things to do you will not know where to begin! There are over 30 activities scheduled daily including popular game show spin - offs, family friendly competitions, olympics, scavenger hunts, holiday themed games, and much more. Some of the many amenities at The Woodloch Pines include a six sided rock climbing wall (600 Feet), Eagle Eye zip line, indoor and outdoor pools, Kiddie splash zone, bumper cars, go carts, bumper boats, kayaking, and that is just to name a few! Even when the sun goes down the fun continues at The Woodloch Pines. Nightly Entertainment may include a Broadway - Style Theme Show, or a hilarious staff show always followed by some great live music, comedy acts, jugglers, or magicians. Woodloch is also home to a 4.5 star championship, par- 72 Golf Course. Nearby, there is The Dashing Lodge at Woodloch with a lavish destination spa, an intimate meeting setting, and a beautiful respite for mind, body, and spirit. Bring the family down to one of the most decorated, family friendly, and fun filled Resorts in the Northeast!